Give children a firm foundation in English vocabulary which will stay with them all their lives! You can teach the Latin and Greek root words which are so vital to mastery of English – and you can do it whether you studied Latin or not! 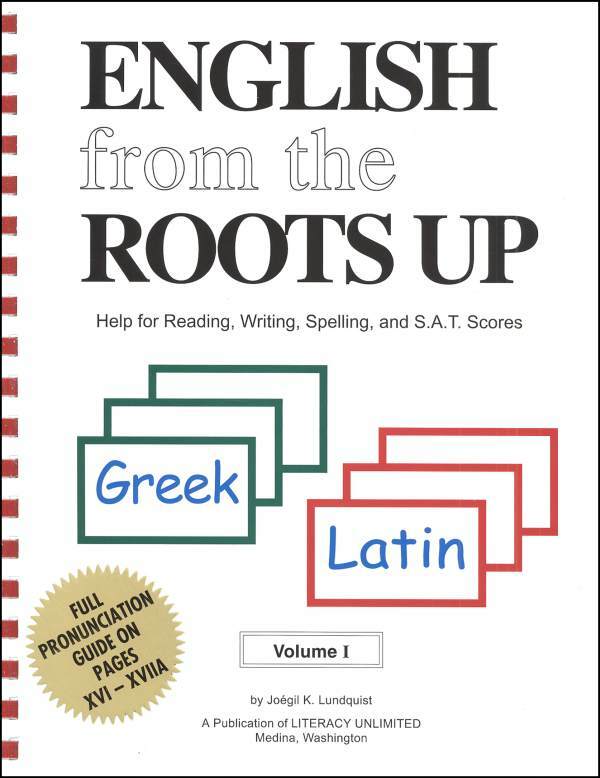 English From The Roots Up Volume II continues the program begun in Volume I. 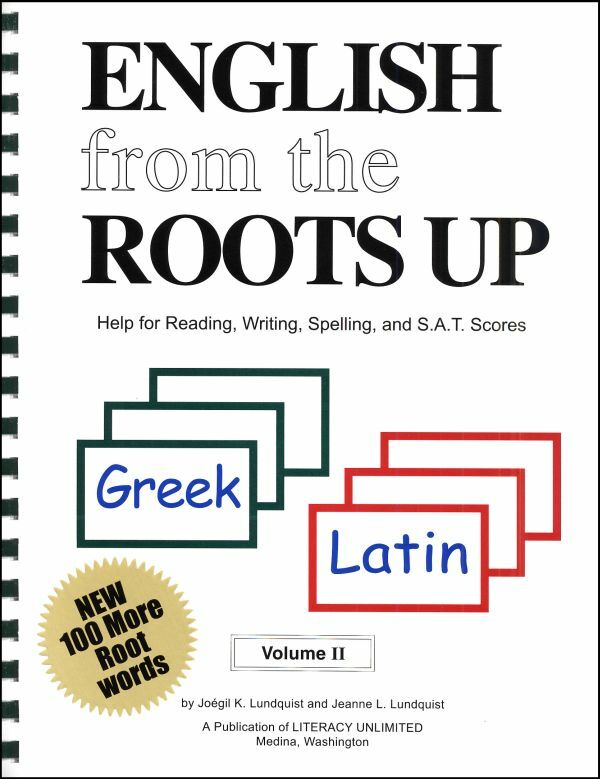 It gives you 100 new Greek and Latin root words which you can teach to students from elementary school through high school. Pronunciation guidance for Latin and Greek root words on every page.106 pages, softcover, spiral-bound.